Esophageal squamous cancer cell (ESCC), with late diagnosis and poor rate of survival, is a significant cause of mortality in the developing countries. The hypothesis of rare high penetrance with mutations in new genes may explain the underlying predisposition in some of these familial cases. Exome sequencing was performed in the patients with ESCC with strong disease aggregation, two sisters with ESCC cancer, and one with breast cancer. Data analysis selected only very rare variants (0–0.1%) located in genes with a role compatible with cancer. In addition, the homology modeling of the novel mutation (A459D) discovered in FAP gene was performed by using the online Swiss-Prot server for automated modeling and the resulted structure has been modified and analyzed by using bioinformatics software to thoroughly study the structural deficiencies caused by the novel mutation. Ten final candidate variants were selected and six genes validated by Sanger sequencing. Correct family segregation and somatic studies were used to categorize the most interesting variants in FAP, BOD1L, RAD51, Gasdermin D, LGR5, and CERS4. A novel, human mutation C1367A encoding Ala459 Asp (accession number: KT988039), occurring in the blade of the β propeller domain, was identified in two sisters with ESCC. 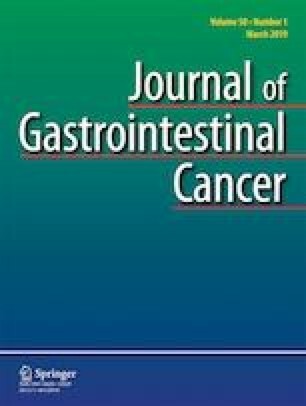 We identified novel mutations in three drug delivery genes, a tumor suppressor and also a stem cell marker of esophageal that may have a role in cancer treatment and are involved in cellular pathways, which supports their putative involvement in germ-line predisposition to this neoplasm. This study was supported by the grant number 910774 from the vice chancellor for research at Mashhad University of Medical Sciences and was part of the Master student’s dissertation. Conception or design of the experiment(s), or collection and analysis, or interpretation of data: F, M M, and M R. Drafting the manuscript or revising its intellectual content: F, M. Approval of the final version of the submitted manuscript: all authors. All procedures performed in studies involving human participants were in accordance with the ethical standards of the institutional and/or national research committee. This study was approved by the ethics committee of MUMS.